ASHRAE Boston Chapter member registering to attend. First Course: Caprese Tower / Heirloom Tomato, Buffalo Mozzarella, Balsamic Reduction, & Basil Oil. Classic Chicken Picatta / Lemon-Caper White Wine Sauce, Chef's selection of Seasonal Vegetable Rice-Pilaf. Grilled Vegetable Ravioli / Tomato Fondue, Braised Spinach. Cheesecake with Fresh Fruit Compote. · RSVP by 12:00pm (noon) Friday, November 9th, 2018. · Please register online whether pre-paying with credit card / PayPal. · The presentation provides a brief review of ASHRAE 62.1 and how to apply cold plasma technology to reduce ventilation requirements, by up to 75%, in commercial applications. The method in which cold plasma reduces particles, kills pathogens and reduces odors will be discussed. Charles Waddell, is the President, CEO and founding member of global plasma solutions, a Savannah, Georgia, based air purification engineering and manufacturing company that specializes in government, education and healthcare air quality and energy saving solutions. Charlie’s experience includes designing HVAC systems in the residential, commercial, and industrial markets as well as for the aviation and hand dryer industries. Charlie holds a BSEE from Old Dominion University. 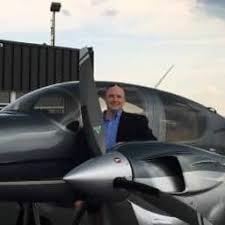 Prior to GPS, Charlie was the general manager of north america for Desiccant Rotors International, the Executive Vice President of Meadwestvaco Air Systems, a division of MeadWestvaco and a sales manager for Des Champs/Munters. Charlie is an active member of ASHRAE and currently a participant of ASHRAE TC 2.3, SSPC 62.1 and formerly the secretary of TC 8.12. Charlie was a member of the USGBC Indoor Air Quality Assessment Committee, which set the guidelines for “acceptable air quality” within LEED certified buildings. Charlie has over 18 years of hvac design experience and has presented at over 50 different ASHRAE Meetings. Charlie’s latest accomplishments include sixteen patents granted, multiple patents pending, having an article published in engineered systems magazine on desiccant dehumidification, winning the 2016 IAQ product of the year award by ACHR News Magazine for the new self-cleaning, no maintenance, universal voltage input, GPS-DM48-AC and having Global Plasma Solutions be a Top 40 Most Innovative technology company in Georgia in 2017 by the Technology Association of Georgia. Jim Beavers, and his 28-years of HVAC experience, has been named Director–Commercial Sales at Fresh-Aire UV. Fresh-Aire UV—div. 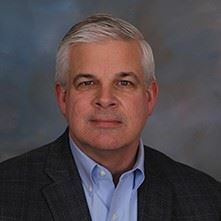 of Triatomic Environmental Inc., a manufacturer of indoor air quality (IAQ) products in North America, has named indoor environmental quality (IEQ) industry expert James Beavers as its Director–Commercial Sales. The 28-year HVAC veteran will initially begin filling in Fresh-Aire UV's developing North American network of specifying engineers and channel partners that sell and specify ultraviolet germicidal irradiation and PCO/activated carbon IAQ commercial solutions. Beavers will be targeting educational, hospitality, industrial, commercial and healthcare properties. Beavers will also actively assist with international sales and new IAQ product solutions. "We've done a pretty good job on the residential side, but now we're looking forward to Jim spearheading the great growth opportunities that lie ahead for us in the healthcare, institutional and other commercial markets," said Ron Saunders, vice president, Fresh-Aire UV. Prior to working in the UV industry, Beavers held director of sales and director of international business development positions for 13 years at ECR International. Beavers also spent seven years with the White Rodgers div. of Emerson Electric. He also holds a Bachelor of Science in finance/business management; and a Master of International Management in international business operations from the University of Maryland, College Park, Maryland.